(Newser) – Authorities said Tuesday that 22 survivors of a semitrailer found outside a San Antonio Walmart packed with immigrants are no longer needed to testify and being turned over to immigration authorities. Ten people died in the alleged human smuggling operation discovered in July, and the driver of the truck faces a five-count indictment and the possibility of the death penalty. 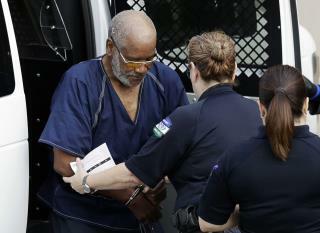 The US attorney's office in San Antonio says it is dismissing the 22 survivors as witnesses and canceling depositions it had scheduled for them in the case against James Matthew Bradley Jr., the AP reports. "Survivors of Human Smuggling Disaster Face Deportation" Ok. What else is happening that's supposed to happen? They were being smuggled in? Of course they should be sent back. And. They committed a crime. Got free cots, food and healthcare.